Found this website. Would like to know if it was helpful to you. 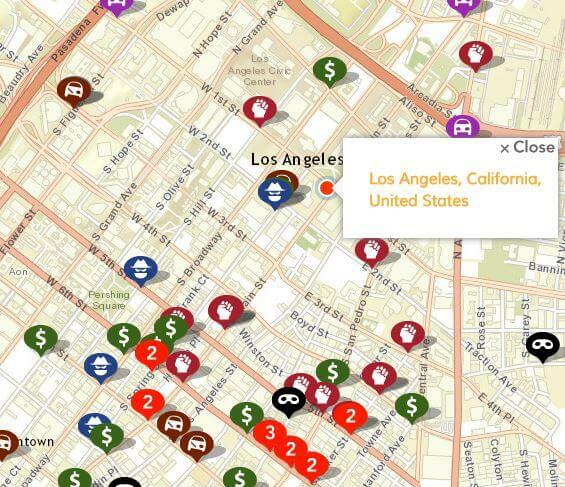 It shows where active crime events from robbery’s to thefts and so many more crimes as reported by the LAPD. 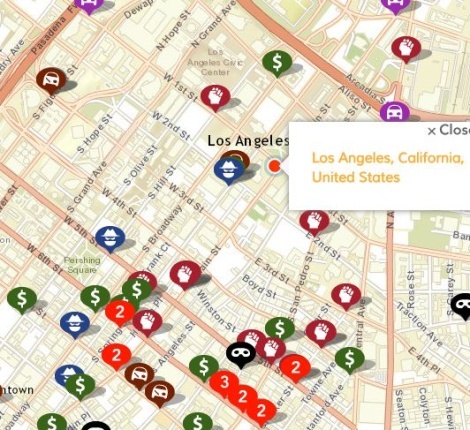 The neat part is you can change the dates, the areas, get charts and summary’s and even print out the results.